Since 2003, I-LEAD has been engaged in workforce development training in the field of public health, serving predominantly low income neighborhoods throughout Central and Southeastern Pennsylvania. 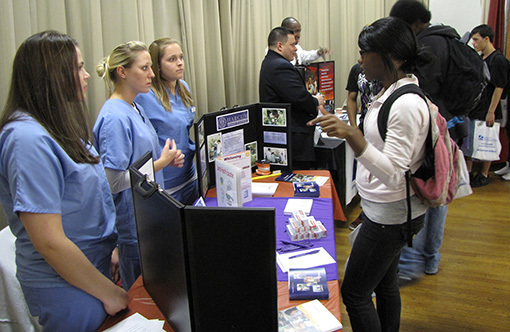 The aim of these programs is to diversify the healthcare workforce by educating residents about available careers in health care and offering on-ramps into these careers for minorities and citizens whose first language is other than English. Support for I-LEAD’s workforce development programming has come from the Pennsylvania Department of Labor, the Pennsylvania Department of Health through the University of Pittsburgh’s Center for Minority Health, the Shils Fund and Henry Schein, Inc.